Game Guardian’s qualified dental prosthetists regularly visit local sporting clubs to take custom mouthguard impressions. Pre-order now online and save time on the impression day. Game Guardian provides this service in partnership with Dentistry Plus, provider number 4025523X. For added protection, all Game Guardian mouthguards are now dual layer laminated. 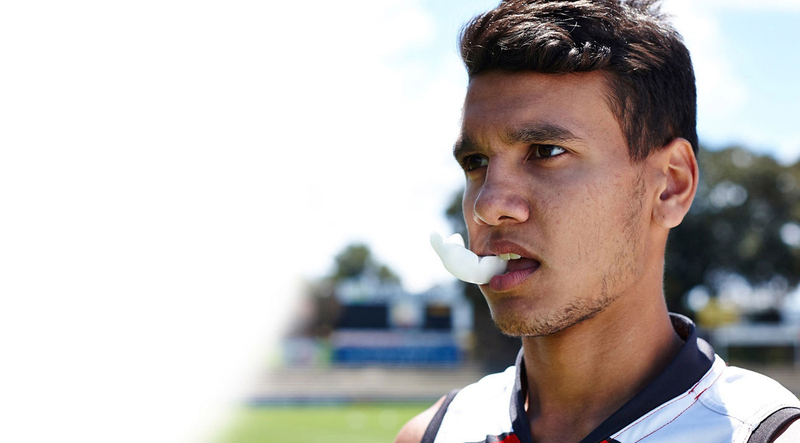 Customise your mouthguard with your team colours! (You’ll choose your colours on the following page). Great news! On January 1st 2019, significant changes to health fund policy came into effect that benefit members. We’re also pleased to announce that Game Guardian is now a Medibank Private Members' Choice Advantage provider! For other health funds, please check your benefits here, or call them directly and quote item numbers 014 and 151.